DANZIG - Żabianka the border with Sopot. 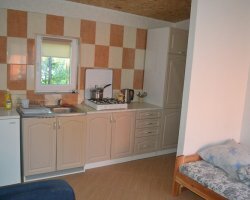 Two adjacent 3-bedroom apartments close to the beach on vacation for 4-5 persons (one larger and two smaller rooms). Possible accommodation of more people. 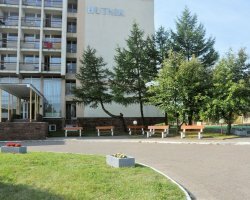 Fully equipped kitchen (including dishwasher in one apartment), fridge and bed linen, towels, washing machine, cable TV, Internet. 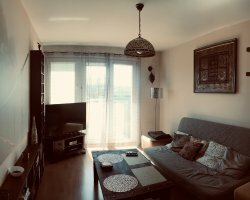 Great location: 10 min. 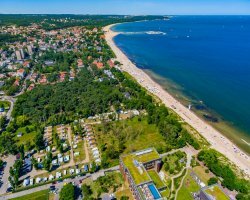 walk to the beach in Jelitkowo, half an hour a beautiful seafront promenade in Sopot, close to the queue and the tram stop, shops, restaurants, a bank. Near the park and plenty of cycle paths along the coast from Gdansk to Gdynia, about 25 minutes drive to the old town and 10 minutes. Sopot. 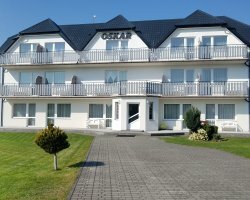 Price: 30 zł - 50 zł for overnight stays. No deatils about prices found.